The Drogheda Brass Band School of Music held its annual Junior Slow Melody competition on Saturday 21st September in the DBB Bandrooms at East Coast Business Park, with participants competing in three different age categories. Students from the School of Music took part in Under-12, Under-15 and Under-18 competition sections, with every player performing admirably and ensuring a hugely entertaining show for the many friends and family members in the audience. Allan Ramsay leads the musical way at Drogheda Band's annual Summer Sounds week of new music making. 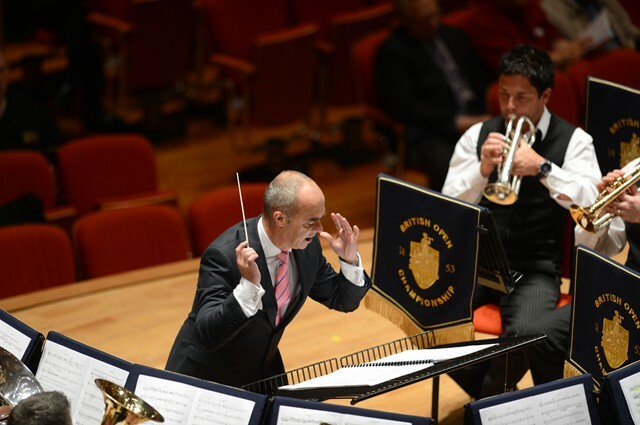 The Drogheda Band recently held their annual ‘Summer Sounds’ week, where their Senior and Youth bands worked with well known conductors Allan Ramsay, Owen Garbutt, Jamie Smith and Dr Richard Rock. The Summer Sounds workshop sees the Drogheda Brass Band team up with top class players and conductors in a week long workshop which culminates in our Annual Summer Sounds Concert. The Drogheda Brass Band’s Student of the Year concert took place in the Droichead Arts Centre last Wednesday. The annual concert highlights the achievements of the students in the band's ever-growing School of Music. 48 students from 7 classes took to the stage to perform their pieces. Each student was presented with their Grade Certificate and each teacher nominated students from their class to be considered for Student of the Year. From this list of nominations, Aishling Reilly was chosen as Student of the Year and was presented with the Jim Kierans Perpetual Trophy. The band has recently invested in a new set of uniforms. These uniforms incorporate our new crest, which was designed by the band's Principle Trombone player Brian Murphy. In addition to new blue waistcoats the band has also purchased marching jackets. The jackets were first worn by the band at this year's St Patricks Day Parade in Drogheda, while the waist coats were debuted at the National Championships in April. 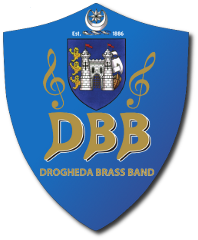 The Drogheda Brass Band came second in this year's National Championships which took place in University Limerick on the 6th of April. Despite producing two strong performances, we were beaten into second place by Downshire Brass Band who played superbly to win the competition. The defeat ends our amazing run of six consecutive National Championship victories. While this is disappointing we can look to the future with optimism thanks to the performances of our younger members, many of whom made their competitive debut with the band at this contest.